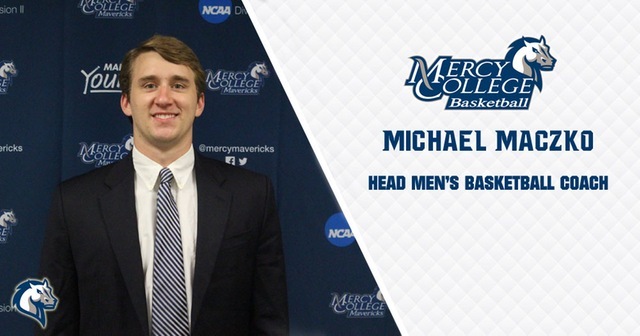 Mercy College Director of Athletics Matt Kilcullen Jr. has announced the hiring of Michael Maczko as the new head Mercy College men’s basketball coach. “I would like to thank President Hall and Director of Athletics Matt Kilcullen for the tremendous opportunity to lead the men’s basketball program at Mercy College. I am looking forward to get to work, to talk with the student-athletes and to meet the community. Mercy is a terrific college, in an excellent conference, and located in a beautiful area with great basketball talent. I am very excited to join the Mavericks family,” stated Maczko. Maczko brings a wealth of experience to the Mercy sidelines, having coached at various levels since 2011 after an impressive playing career. 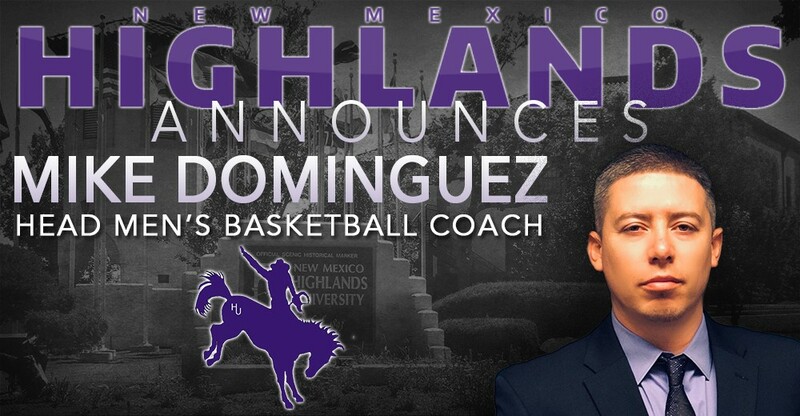 The native of Bel Air, Maryland joins the Mavericks after serving as the Assistant Men’s Basketball Coach and JV Head Coach at Post University during the 2016-17 season. Maczko assisted the head coach in all aspects of the program, including recruiting, scheduling, scouting, player development, academic progress, travel arrangements and practice plans. Prior to his stint at Post, Maczko was the Graduate Assistant for Men’s Basketball at Georgia Tech during the 2015-16 season. While at Georgia Tech, Maczko assisted the coaching staff in the breakdown of film for team and opponents, the preparation of scouting reports and for working out student-athletes in the offseason. During the 2013-14 and 2014-15 seasons, Maczko was the Assistant Men’s Basketball Coach at Johns Hopkins University where he assisted the head coach in all aspects of the program. During the 2014-15 season, Maczko was part of the staff that led Johns Hopkins to a regular season conference championship and an appearance in the Sweet 16 of the NCAA Tournament, ending the season with a record of 25-5. Maczko also was an assistant for the Baltimore NIKE Elite 16U team from 2012-14 and was a Volunteer Assistant Coach at his alma mater Salisbury University during the fall of 2012. Maczko has also served and currently serves as a camp counselor at the HoopGroup Skills and HoopGroup Elite basketball camp. Maczko brings an impressive playing resume as well to Dobbs Ferry, having starred in high school, college and in a semi-professional league. Maczko played three years of varsity basketball at the John Carroll School before heading to NJIT on a full athletic scholarship. While at NJIT, Maczko started three games and averaged 12.5 minutes per game as a freshman. After playing a year at NJIT, Maczko went on to Salisbury University where he started every game (77) in his three years, serving as team captain during his junior and senior year. He was a Capital Athletic Conference All-Conference selection in 2011-12 and ended his career with 11.3 points per game and 7.5 rebounds per game. After graduating from Salisbury in 2012, Maczko played for the Bay Area Shuckers in the American Professional Basketball League (APBL) from 2013-15. Coaching runs in the family for Maczko with his father Terry Maczko currently the Head Men’s Basketball Coach at Baltimore City Community College. Maczko graduated from Salisbury in 2012 with a Bachelor of Arts in Communications with a minor in Business Administration before earning a Master of Science in Sports Management from California University of Pennsylvania in 2016.